In order to master the art of sexual continence, you have to learn how to rise your sexual energy along the spine and make it circulate through your body. For this, you may perform asanas, pranayama, bandhas, and mudras. In the following, you will be introduced to a yogic technique (UTKSHEPANA) that will help you sublimate your sexual energy. This technique has a Taoist analogue named The Cold Rising. You may perform this technique in any moment in which you feel that the sexual energy is stagnant in the genital area, making you nervous, irritable, stressed, and confused. The more and sooner you succeed in sublimating the sexual energy from the genital area, you will experiment all-body orgasms much easier. Either you are alone or with your lover, UTKSHEPANA will help you decrease the impulse to ejaculate. This is the safest and most secure method for men to get rid of feelings of sexual frustration and excitation, as well as to facilitate the flow of the healing energy to the brain and heart. This technique allows you to increase the level of your energy anytime and anywhere – waiting in the line while shopping, in the office, or even when awaking in the middle of the night with a strong erection. You have to get a new and better awareness of your perinea area in order to derive the best effects from it. In short, you will use your muscles in order to rise and lower the testicles and your mind in order to rise the sexual energy from the genital area to the crown. According to the Tantric and Taoist traditions, the non-ejaculatory orgasms allow men to preserve their seed, and the hormones, vitamins, proteins, aminoacids contained in it, as well as preserving their energy. In the case of men, the testicles are “the factories” of sexual energy and this is where they extract the energy required for any activity. Soon you will be able to perceive these waves of pleasure anytime, without even needing to be excited. In addition, this certainly will make you have a brighter and happier day. 1. Warm your testicles in one hand, until you perceive a slight shiver or a first startle of the sexual energy. 4. Continue the process described above until you perceive a warm tingling in the perineum. 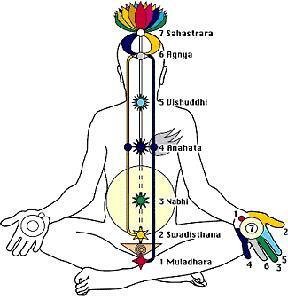 After you succeeded in setting this energy into motion, you may begin to imagine your spine as a straw through which you absorb the energy from the testicles and directs it to the crown of the head. Learning how to rise the sexual energy requires a time of accommodation, but do not become discouraged. In the beginning, you will perceive the sexual energy like a tingling sensation along your spine.